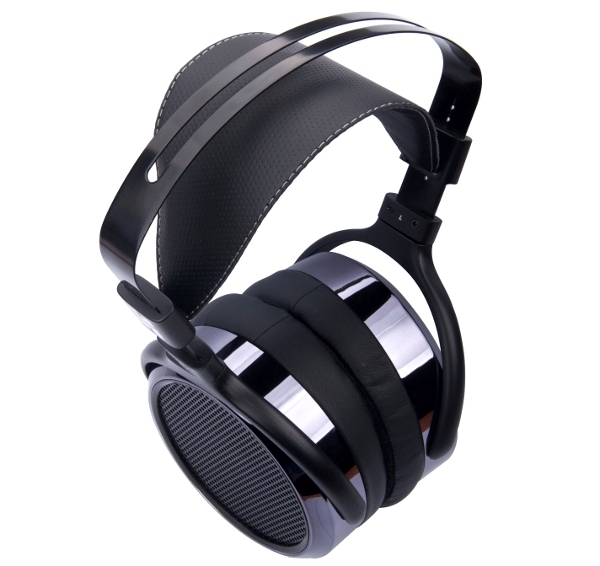 The non-fatiguing sound of the HiFiMan HE-400i will have you falling in love with your music all over again. Every time I visit my buddy Lou and listen to my old 6-foot-tall Magnepan MG IIIa speakers, I ask myself why I ever sold them to him. 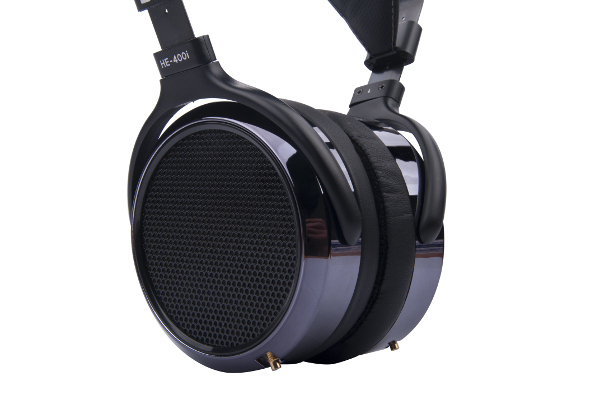 How excited am I that similar planar magnetic technology is now available in headphone form? Granted, higher-end Magnepans like my, I mean his, IIIa speakers use dedicated ribbon tweeters to help achieve their magical sound. And with dipole planar speakers like the Magnepans, proper positioning in the room can make the difference between no bass and some of the best bass you’ve ever heard. There’s only so much you can do when the room is effectively strapped to your head! Aesthetically, the HE-400i is quite stunning, and while the surrounds aren’t metal, they look like polished and oiled gun-metal parts. The cable provided is of high quality but short length (under 5 feet). This would be a benefit if you were going to use the HE-400i with a portable player or smartphone, but for a variety of reasons (read on), this HiFiMan shouldn’t be treated as a knockabout. Efficiency is stated as 93 decibels per milliwatt with 35-ohm impedance. It seems like an effort was made to cater to the portable market, but I was unable to get satisfactory sound levels driving the HE-400i from my iPhone 6P. I suppose I should be happy that, in this case, I wouldn’t experience hearing damage—but they’re my ears, dammit. I got much better results when I plugged into the headphone jack of my Onkyo TX-NR5008 AV receiver. In my home recording studio, I was able to get even more satisfying sound via the headphone section of my RME Fireface 800 audio interface. You won’t need to go to such an extreme, but please don’t judge the HE-400i until you’re feeding it a proper diet. Meanwhile, HiFiMan recommends 150 hours of break-in; I used the headphone for several months before I wrote this review, and I will say they benefitted from that break-in period. If you’re a Homeland fan, you may have been as spellbound as I was by the beautiful, haunting melody of the jazz running at the end and through the closing credits of the Season 4 finale. Lou thought it was Miles. It wasn’t; it was the Tomasz Stanko Quintet’s “Terminal 7” from the Dark Eyes CD. When I played the track through the HE-400i, the frothy attack of the opening notes was clearly revealed. The nuances of piano and muted guitar are layered behind Stanko during most of the track, with his trumpet taking center stage. At the same time, the well-recorded drum kit is never denied its share of the spotlight. For me, the sound of the cymbals here has always been a test of “what sets the boys apart from the men” for headphones and speakers, and the HiFiMan got it oh so right, with crystalline harmonics and palpable warmth from the body of the metal. Headphones aren’t known for depth or imaging in the same way that speakers are (but most people find them satisfying nonetheless). That said, the HE-400i does introduce layering of the soundstage, which results in each instrument being distinct within its own space. There’s no smearing of timbre or voices; in fact, resolution is extremely well defined. I find the HE-400i warm (there’s that word again) but not blatantly colored in any way. Compared with my Stax Gamma electrostatic headphone, the HiFiMan isn’t as useful to me in the studio, where I like my sound very sharp and detailed. But for enjoying music, the planar magnetic technology provides a natural degree of air and musicality that probably would be more pleasing to listen to for longer periods of time. One final recommendation goes out to you vinyl fans. The tonal balance of the HE-400i, with that naturally warm but still detailed perspective, seemed especially well suited to listening to LPs. I spent last night with Fleetwood Mac in concert, so today I found myself revisiting some of the material that the band didn’t play in front of 15,000 of its closest friends. This includedBare Trees (available on CD but not via iTunes or Spotify), an album from my favorite pre-Buckingham-Nicks era, and even Lindsey and Stevie’s pre-Fleetwood Mac release,Buckingham Nicks (not available on legitimate CD). The Grado Sonata moving-magnet cartridge I use imparts yet an extra degree of warmth to the vinyl, granted, but the HiFiMan exposed the detail in those recordings beautifully, without an analytical taint. CD or vinyl, the best-quality sources will benefit from the HE-400i, and those sources are clearly what this headphone should be reserved for.